You automatically accumulate points on your purchases when you use your Club Goodwill REwards card at any Goodwill Store & Donation Center in southeastern Wisconsin and metropolitan Chicago. How many REwards points do I earn? You earn one point for almost every dollar you spend, and when you earn 100 points, you'll receive a $5 REward for use on a purchase. Points are awarded on a line item basis (individual item purchased) after any discounts have been applied and before taxes have been added. In addition, the system rounds up and rounds down each individual item purchased. For example: An item priced at $1.59 rounds up to 2 points. An item priced at $1.49 rounds down to 1 point. Items priced at .49 or less do not earn points. No. While points will post to your account within 24 hours, they are not available for redemption until 10 days from the date of purchase. What items are excluded from earning points? Points are not earned on sales tax, prior purchases, items priced at .49 or less, the purchase of a Goodwill Gift Card or purchases made with a Goodwill Cares voucher. What happens to my REwards points if I return merchandise? If you return merchandise, the points originally earned on the purchase of the returned item(s) will be deducted from your Club Goodwill REwards account balance. 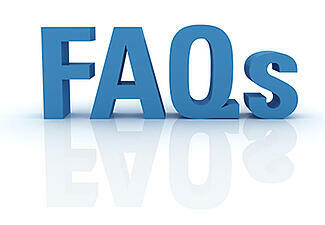 If you have questions about your account please email us at CGWCustService@goodwillsew.com. What happens if I return an item or items where the purchase was made with a $5 REward? Your $5 REward is prorated and a portion of the discount is applied to each item purchased. If you return an item, the points associated with that item will be returned to your account and any remaining balance owed will be returned to you in a store credit. For example, let’s say you purchased five $2 items and you used a $5 REward. Five items x $2 each = $10 + tax. After the $5 REward is applied your new total is $5+ tax. Then, you decide to return one of the items. The $2 item is 20% of your total purchase price. That percentage is then multiplied against the $5 REward and shows that you saved $1 on that $2 item. The $5 REward = 100 points. 100 points x 20% = 20 pts. Therefore, 20 points will be returned to your account and you will receive a store credit for the remaining $1 + tax. Your points are returned to your account with 24 hours, but it takes 10 days for your points to become available to you. If you have questions about your account, please email us at CGWCustService@goodwillsew.com. How do I receive a Club Goodwill REwards card? Our Club Goodwill REwards card is available at any Goodwill Store & Donation Center in southeastern Wisconsin and metropolitan Chicago. Click here for a list of participating locations. No, it is free to join! Membership will always be free. Is there an age requirement to join Club Goodwill REwards? Yes, membership is open to anyone 13 years or older with their parents' permission. What is the age requirement for Seniors? Anyone 60 years of age and older will receive a Senior discount on Senior Day. When can I start using my Club Goodwill REwards card? Start using your card as soon as you receive it. And, make sure to use your card every time you shop to begin accumulating your points and earn your REwards faster! Will my Club Goodwill REwards points expire? No, your Club Goodwill REwards points never expire. How do I receive my $5 REward? You'll earn a $5 REward with every 100 points earned. There is a 10 day waiting period from date of purchase for points to become available to you. When you have 100 available points in your account, you will receive a $5 REward at the register. We've gone green—the $5 REward is now a paperless coupon. Your REward will be stored electronically within your account and you may use it when you wish at the register, even on the same transaction. May I use more than one $5 REward on a single purchase? Yes, however you will not get cash back or merchandise credits for any unused portion of the $5 REward. Once I earn my Club Goodwill REward how long is it valid? Your Club Goodwill REward will never expire and you may use it at the register when you wish.